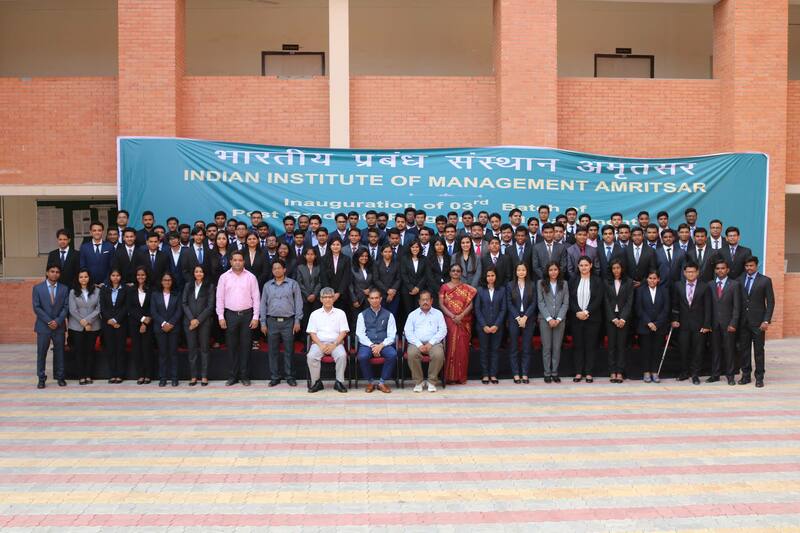 IIM Amritsar witnessed a spectacular Summer Internship Placement season for the PGP 17-19 batch of its flagship Post Graduate Program in Management. The entire batch of 95 students secured Summer Internships from the Campus. A total of 46 organizations, which participated in the process, offered coveted profiles to the students spanning across diverse management domains. Consulting and Data Analytics were the most sought after roles closely followed by Sales and Marketing, Finance, Operations and HR. ICICI Lombard was the biggest recruiter followed by Ernst Young and Walmart. L&T, GroupM, Tata Motors, Sutherland Global, Shopclues, BPCL, HPCL, RBI, Canara Bank, Canara HSBC, IDBI Bank, Shree Cement, Muthoot Fincorp, MCX, Future Generali and BPL were other prominent recruiters, with some of them being first time participants. The year also saw an enthusiastic participation from the social sector where students secured internships with ICICI Foundation, Rakshak Foundation and E-Vidyaloka. The highest stipend offered for the Summer Internship Placement was INR 1,60,000 while the average saw a 23.2% jump on a Y-O-Y basis to INR 61,333. With more students in the batch than the other newest IIMs and registering a massive increase in the average stipend, which again is highest in the category, IIM Amritsar continues to be the vanguard for quality education, performance and placements in the cluster. The detailed report shall be uploaded soon on the website.